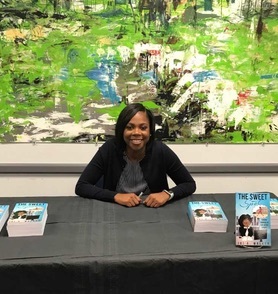 From the time she first picked up a basketball to her current position as Mississippi Valley State University’s athletic academic counselor, Joi Walker has nurtured a deep connection with athletics. And while Walker loves sports, she has never been 100 percent defined by what occurs between the lines but by what happens outside of them as well. Walker’s desire to help athletes take the lessons they learned from sports and apply them to life inspired her to start “Sets for Life,” a life-skills company dedicated to training, equipping and empowering student-athletes for life after sports. “This book is really about my journey,” said Walker. “As athletes, we spend the first 20-plus years of our lives dedicated to our sport. We all know that the ball will stop bouncing at one point, and we are well aware of the fact that less than two-percent of collegiate student-athletes will play professional sports. However, many athletes fail to properly prepare for the day that their playing career will come to an end,” she explained. Walker came to MVSU in 2017 as an assistant women’s basketball coach, but the 30-year-old St. Louis native felt led to move into another area that would allow her to help more athletes. She credits her time at The Valley with helping her to discover her purpose. 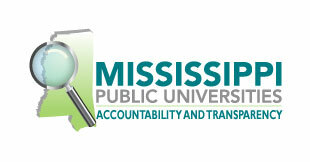 “MVSU is an exceptional place, and I truly enjoy working with the student-athletes here. My current position gives me the opportunity to help student-athletes think about their long-term goals outside of sports and put a plan in place to help them achieve those aspirations,” she explained. Walker obtained her bachelor's degree in accounting from South Carolina State University where she was a member of the women's basketball team. She went on to receive her master's degree in accounting from Clark Atlanta University. She has had the privilege to play and coach at the Division I level. She worked in corporate America for several years before returning to collegiate athletics. Upon her return to sports, she was able to see the gaps that existed for student-athletes who are incredibly gifted but often lack the resources that would allow them to see themselves as more than just athletes and successfully transition out of collegiate athletics into the workforce. “I struggled to figure out what I would do once I was no longer a basketball player. Once I got into coaching, I saw that I was not alone and that the cycle repeats itself. I saw that my players would need help as they transitioned from student-athletes to young professionals. I wrote this book because I believe it is the missing manual for all student-athletes,” Walker said. Ultimately, Walker hopes her book and what she strives to teach every day encourages student-athletes to see themselves as more than just an individual who runs, jumps, tackles, hurdles or catches a ball.